TERRORISM NEWS: Egyptian massacre: "a crime against humanity"
Egyptian massacre: "a crime against humanity"
The killings of at least 817 people by Egyptian security forces last year probably amount to a crime against humanity, Human Rights Watch says. 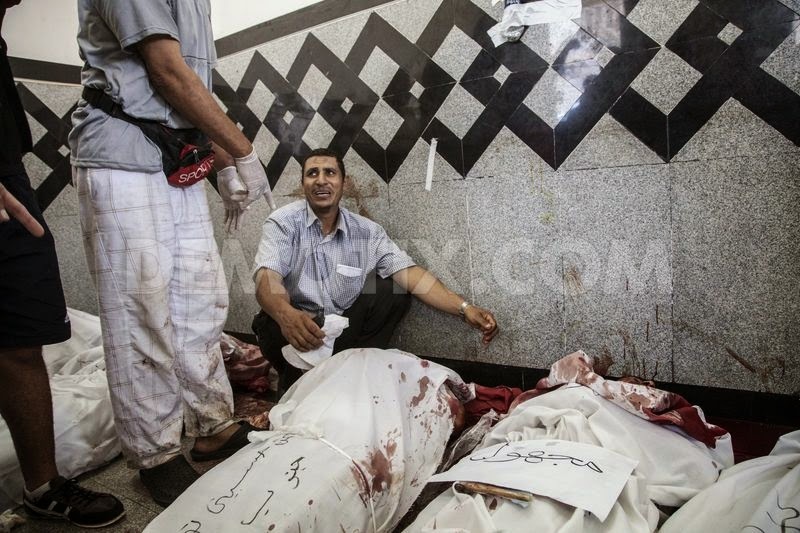 A reort by the US-based group says 1,000 or more people probably died in one day around Rabaa al-Adawiya mosque. The deaths came during demonstrations broken up by Egyptian security forces.Executive director Kenneth Roth said the deaths were "one of the world's largest killings of demonstrators in a single day in recent history". Mr Roth and a colleague were stopped from entering Egypt on Monday.They were due to launch the new report at a press conference in the Egyptian capital, but were deported after being held for 12 hours at Cairo International Airport. The group's year-long investigation focused on six demonstrations in July and August 2013 that were forcefully broken up by security forces, then under the command of now-President Abdul Fattah al-Sisi.